Hi, it’s Max Cliffwolf, PR guru at the Greenygrey. 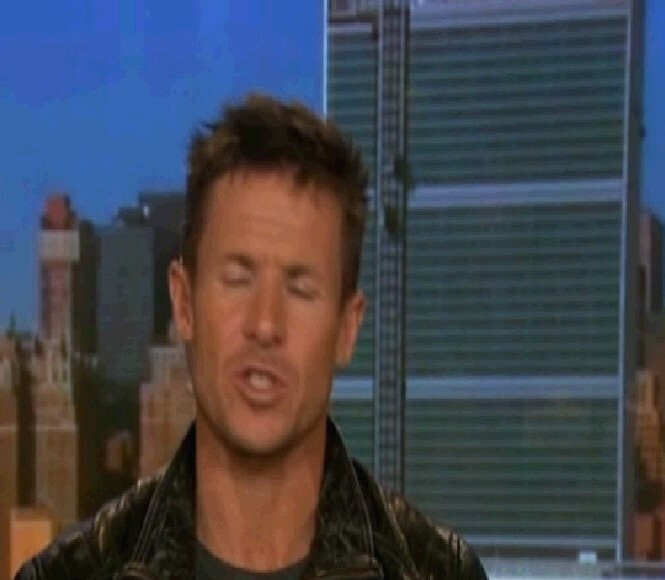 I was delighted to see that our cunning PR stunt worked last week, with the Greenygrey appearing on national television with the hero of the week, Felix Baumgartner. After Felix Baumgartner’s totally amazing and awe-inspiring space jump, the Red Bull usually associated with Felix was put out to pasture for a day, thanks to the Greenygrey. As the drawing below shows, Felix always wanted to do amazing flights, and he might have had a chip on his shoulder if he hadn’t been able to accomplish his ambitions. Instead, in the accompanying photo he has a Red Bull on his shoulder, as well as leg and helmet; the energy drink‘s slogan is of course that ‘Red Bull gives you wings’, so it’s very appropriate. But Felix wanted to jump from space, and this month accomplished his ultimate ambition with what Marc Latham described as the ‘moon landing moment of my life’. So if the Red Bull slogan is that it ‘gives you wings’, maybe the Greenygrey’s should be that it ‘brings you peace’. I’m going to send that to the Board of Greenygreyisms. To get a passed greenygreyism on my blog debut would be a dream. I didn’t make a drawing of it though!